The Time Machine, The War of the Worlds, The Invisible Man, The Island of Dr. Moreau. 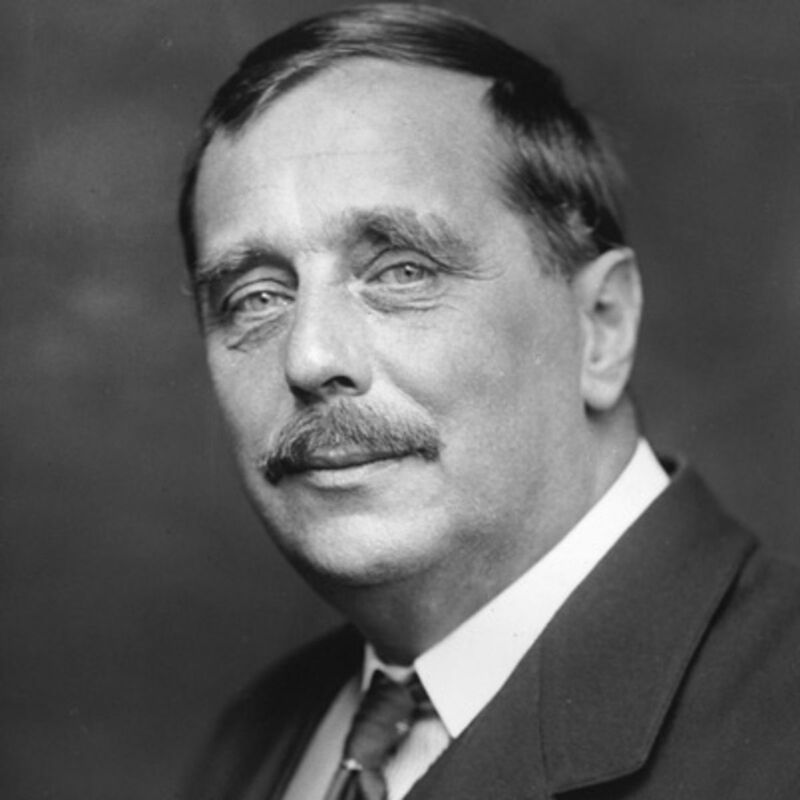 Anytime you hear these titles or see stories in the same vein–time travel, alien invasion, technology used for nefarious reasons, genetic engineering gone wrong–you are seeing firsthand the legacy of H. G. Wells. Not only that, but the concepts of globalization, multiculturalism and universal human rights–things we encounter directly and signify our current epoch–were all championed and furthered by none other than H.G. Wells. 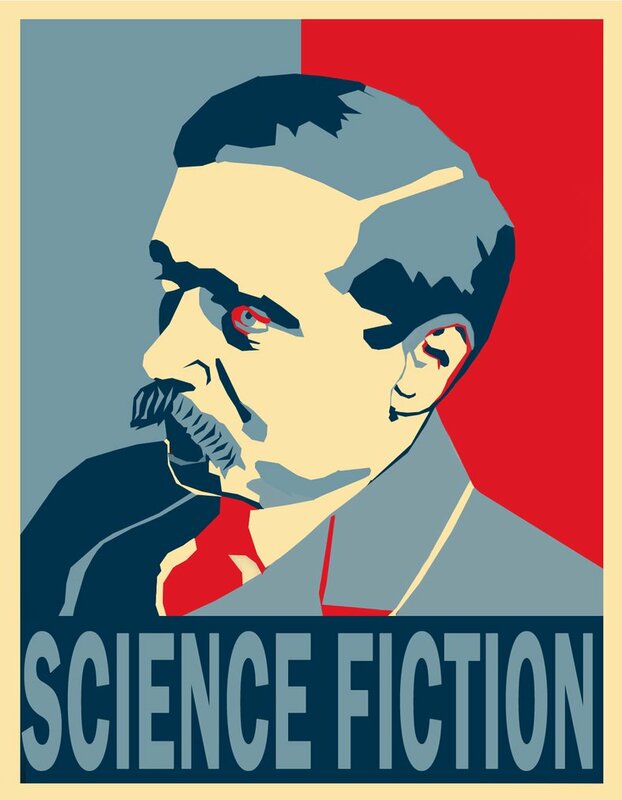 I’ve always been a fan, finding myself returning now and again to his pantheon of timeless science adventure novels, dubbed “scientific romances” in his own time. And it was upon finishing The Time Machine a few months ago and impressed by how modern his prose is even though the novel was published in 1894, that I found I wanted to know more about the inimitable H.G. Wells. Up to that point, I did not know much about his life. 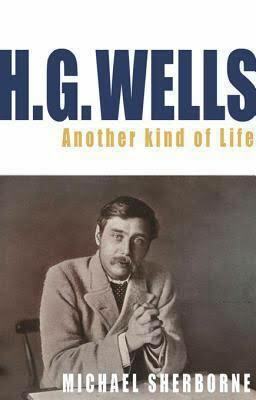 So I checked out at my library Michael Sherborne’s 2010 bio, H.G Wells: Another Kind of Life. Let me tell you now, H.G. Wells was not only a visionary, but he was a man who lived enough to fill ten different men’s biographies. Born in 1866 to a care-free irreligious father and a stoic, religiously-observant mother, H.G. (Herbert George) was the son of servants and a victim of the class system of Victorian Britain. His father was a gardener and his mother a house maid, and both toiled on the bourgeois estates of some of Britain’s richer nobler families. H.G., known as Bertie when he was young, had two older brothers and all three of them were “destined” to go into the drapery business, a stable way to earn a living and the best that their parents could provide for them. Bertie’s two older brothers did this without complaint, though no one was too thrilled to become a draper’s assistant. Bertie, on the other hand, was going to have none of it. He rebelled, refusing to work the 16 hour days, 7 days a week as an apprentice, where you slept in a room in the back of the shop and did not get paid as you were “earning” the skills sets of the job. After putting his parents through many trials and tribulations, no doubt worrying them to death that their youngest son would wind up a vagrant or a criminal, Bertie found an interest in school. Science was his passion and he excelled at it. So much so that soon he won a scholarship to a prestigious school in London where after many years of hard work as a teacher and by self-education, he found himself under the tutelage of the great T. H. Huxley, grandfather of Aldous Huxley. But Bertie was still poor and he yearned, as was his trait throughout his entire life, to keep molding himself anew, constantly learning and transcending his mind and his life to a higher level. He began writing and found he liked it. 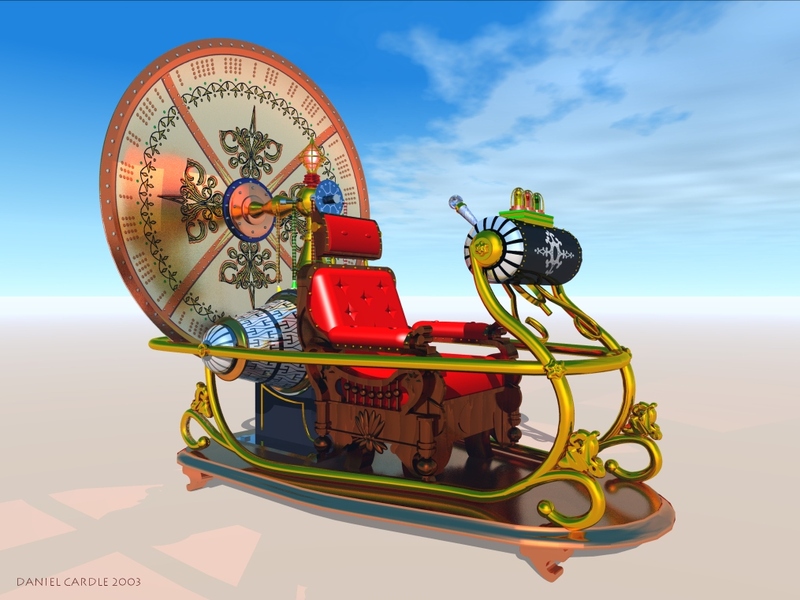 A story he worked on through many many years was that called The Chronic Argonauts, which eventually became The Time Machine, his first novel, which catapulted him to fame. But until then, H.G. was just another struggling everyman. It being Victorian England, sexual expression was frowned upon. Boiling under the surface with repressed sexual energy, Bertie married a distant cousin whom he had fallen in love with, Isabel, in the hopes of getting some action on a constant basis. This was not the case, however, and after some time Bertie found he was an unhappily married man laboring his life away at a job he hated. This was also the time he nearly died from illness. Wells was always a sickly child and this followed him into his early youth until one time, in his early 30s, he found Death knocking at his door. Luckily, not only for himself but also for the sake of the world and science fiction, he survived and in effect had an epiphany. No longer was he going to waste his life. Wells was going to live the way he wanted. In short, over the course of the next handful of years, Wells divorced his wife and married one of his students, he quit his teaching job and churned out the 4 books mentioned above in quick succession. Soon he found himself a best seller earning piles of cash, he was the talk of the town, frequenting literary circles with the likes of the best authors in the world. As the 20th century approached, Wells saw his chance to become “the man of futurity.” And this he did. Espousing a world government set on progressive ideals such as women’s right to vote, racial tolerance, the abolishing of the class system, and the reorganizing of the entire world order, Wells cemented his reputation in the public consciousness as one of the most forward thinking people alive. Through the next four decades Wells would trumpet that a world utopia was, indeed, within mankind’s grasp if only mankind could let go of nationalism and ethnocentrism and instead embrace multiculturalism and world peace. Unfortunately, mankind did not listen and two world wars would bring civilization to its knees. By the end of his life, after warning the world of impending catastrophes, Wells died in 1946 shortly after the atomic bombs–which he had warned about in a novel called The World Set Free back in 1914–were dropped on Japan. Wells died disheartened, afraid that the human species was not up to the task of saving itself from destruction, and indeed this was the underlying point Wells seemed to make in all his works: that science and technology enabled not only the betterment of human society but also that it enabled the darker side of our natures to have the power to destroy itself on a grander scale. He was one of the few who realized this in such times and he did his best to bring this to light for others to recognize before it was too late. H.G. Wells, a man born in Victorian England to servant parents, had, through his own determination and ingenuity, found himself one of the most famous men of his times. He had dozens of mistresses, had one on one talks with the greatest personalities of his age–everyone lent an ear when he spoke. He was also a very kind hearted, generous man, and I would have to write a complete biography myself in order to detail all the amazing things this guy did. Luckily, I don’t have to as H.G. Wells: Another Kind of Life has already done this. Jorge Luis Borges once put it that H.G. Wells has accomplished his own time-traveling feat. 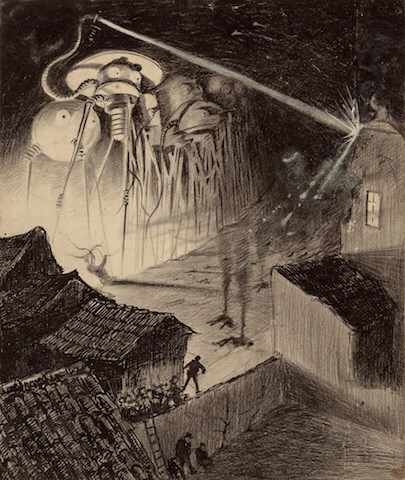 With his iconic images of aliens laying waste with their ray guns, a man time-traveling into a fantastic future world, among others–these images are recognized in parts of the world where English is not even spoken and where Wells has never been known. In short, Borges asserts, and I agree, that Wells has created such rich visual impressions on the human psyche and expounded on such important topics–he championed universal human rights to his dying day–that thousands of years from now, his legacy will be felt even if the man and his words are forgotten. Wells himself has transcended Time.